For many years, tic-tac-toe – otherwise known as noughts and crosses – has been a popular children’s game; in fact, it is one of the most-played games worldwide. Now it is a playground feature. During the game, you can follow the scoring scale; who will win the first five games? The pieces are designed with rounded edges so they are comfortable to touch. The platform in the Bona system is accessed via the non-slip steps. The floor height is 140 cm. 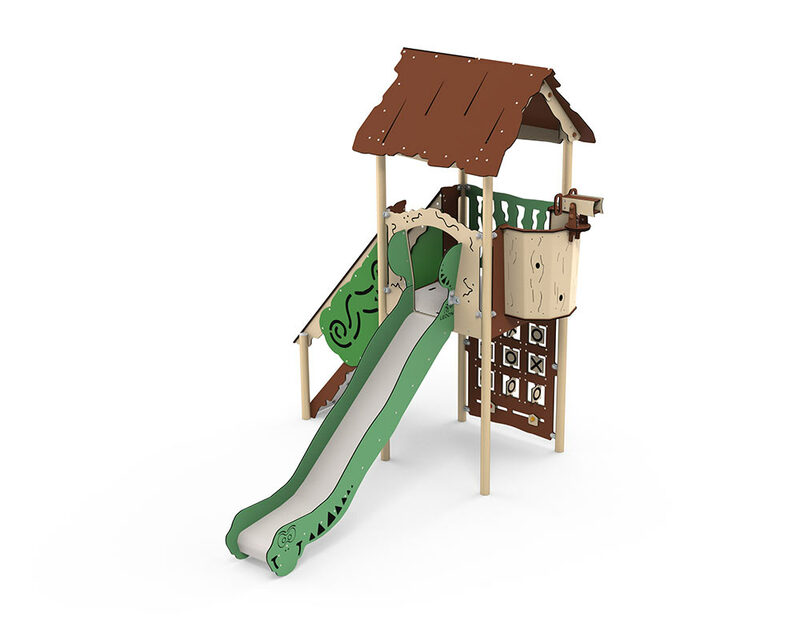 The crow’s nest provides a commanding view of the playground; where is your best friend hiding? The telescope may well prove useful, as it can both tilt and turn. You return to ground level quickly via the slide, which is designed with a polyethylene slide panel that does not overheat in the sunshine.